HI Trina here. Recently I had the pleasure of working with the new Brittany's Castle range. Wow, it is so CUTE! 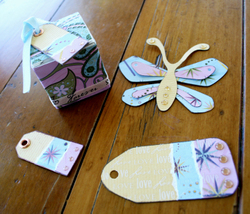 I created some Make N Takes for the Spotlight conference showing the new butterfly template as well as the tag squeeze punch and tiny little gift box (4x4cm, from Spotlight) as well. 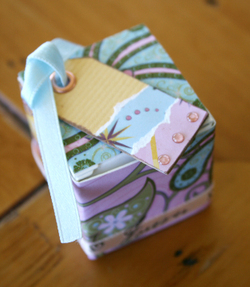 The range is just perfect for your girly pages and fun little projects. And best news for us Kiwis I saw it in stock over the weekend. The butterfly I did was the little one, and you cut out several pieces, then put it all together. 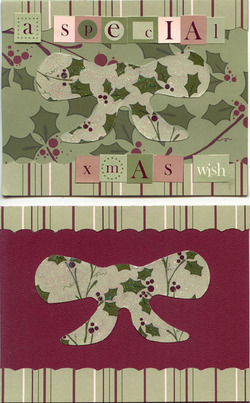 There is also a very cool larger butterfly and I can just see both of these popping up on cards and LO's soon! Too cute. Materials used for these projects: Brittany's castle paper range, rain dots, Fiskars rubons, ribbon, ink. Don't forget to check back here tomorrow. Its the first of October which means our new challenge will be up and this time Lyn has come up with something fun for us all to try. You'll need your Ultra ShapeXpress, Circles Template and Hearts Template. Place a photo tab on the tip of each heart. NOTE: If you're using textured cardstock or patterned paper, make sure you place the photo tab on the textured or patterned side. Position your hearts around the edge of your circle. 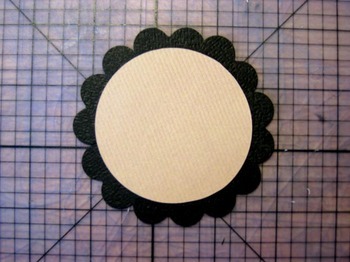 I like to turn my scalloped circle over so that I can see the "front" as I'm positioning my hearts. If you finish up with a small gap that won't fit a full heart shape, simply angle it so that you only use one rounded edge. Voila you're done. 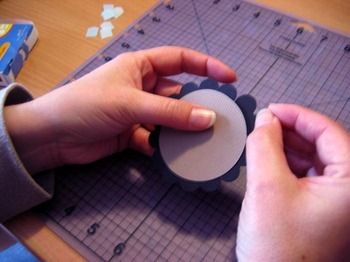 If you're stamping an image in the centre of your circle, it would be best to stamp that image prior to adhering the hearts so that the surface in nice and flat and even. IMPROVISE: Improvisation is the key to success LOL. 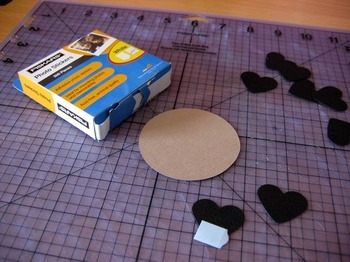 If you don't have the hearts template, you can cut yourself out a number of 1" circles and position them around the outer edge of your main circle. This will give a similar effect, but may be a little more fiddly. I also managed to complete 3 mini albums from Laura's 10th birthday party (one for each of the girls that attended as a gift) and a heap of cards using my scraps. 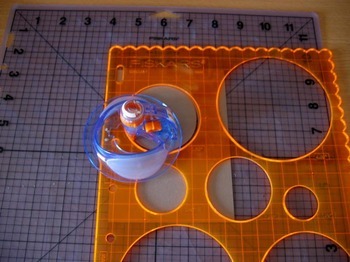 So please head on over to my Fiskars Project Gallery and check them all out - I've uploaded materials lists and little tips on how I created some of the bits and pieces. 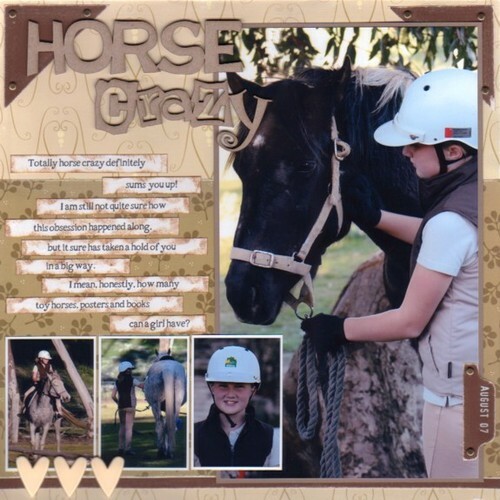 Hi everyone, I just thought I'd share a LO I put together last night about my "Horse Crazy" daughter. I seriously don't know where her obsession with horses came from but it certainly has grown over the years. Her room is filled with horse posters, toys, books and magazines. She loves her horse riding and goes every week - rain, hail or shine. I've used the Heidi Grace "Woodland" series of papers on this because I just love the warm earthy tones and I've also added a few heart fasteners. 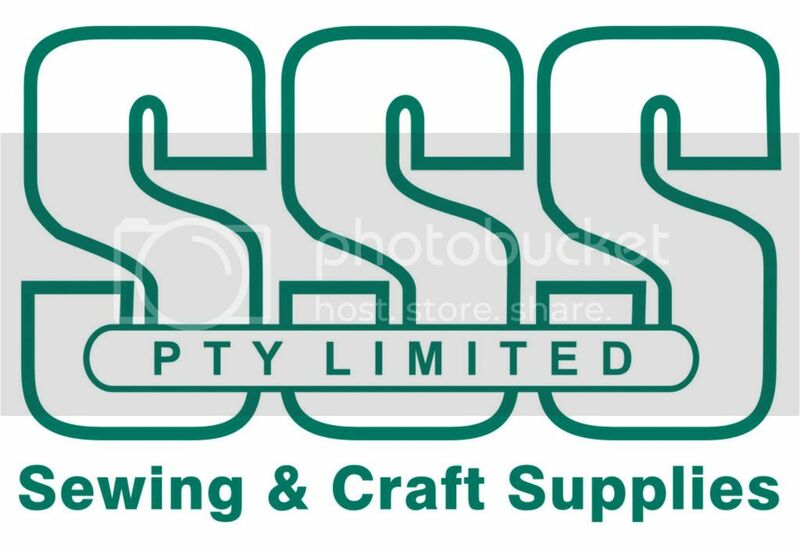 Just letting you all now that I will be demonstrating some make and takes at the spotlight store in Wagga Wagga NSW Baylis Street on this Sunday the 23rd September. I would love to see you come along and have a play with the fantastic fiskars tools and the beautiful new "Brittany's Castle" collection of papers from Cloud 9 Design. This range is just divine, I love the glitter and the beautifully embossed papers and of course the great range of matching ribbons and embellishments. So if you are looking for an easy relaxing Sunday arvo come along and join in - I will be at the store from 12pm - 3pm, looking forward to chatting and creating with you all. Just letting you all know that Linda Jones and I will be demoing in the ART and CRAFT PAVILION at the ROYAL MELBOURNE SHOW this Friday and Saturday from10am - 5pm. I couldn't help myself when I saw this new Cloud 9 range at my LSS...the colours are just beautiful and the paper is so versatile. I sat down on Saturday night and did four layouts from four pieces of paper, a sticker sheet and some of the gel sticker words and alphabets, and a packet or two of chipboard letters I had lying around! I am pretty happy with these...thanks for looking! I will be at Burleigh West Spotlight on Wednesday, so if you are a Gold Cost local, drop in and say hi! Girls I have to say this was a tough decision. I love the diversity we can achieve with the same set of criteria. It was close, but my choice is Julie Dudley with the layout "Purfect". It is a great layout design with plenty of small points of interest all over. 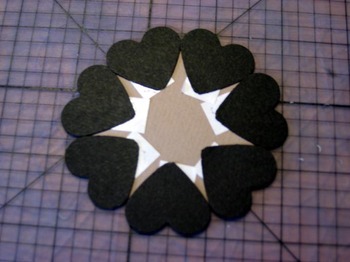 And your freehand cut embellishment looks pretty awesome too! Congratulations Julie. If you could email your details that would be most appreciated.That way we can send your prize to you pronto!!! Just click on the challenge album on your left to see some of the awesome entries in our September Challenge so far. You still have a couple of days to email your entry in...see the original post for more details! 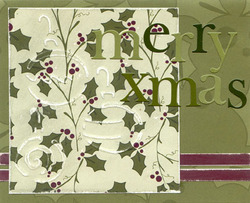 So I've started making a few Xmas cards using some Xmas papers from the Sugar Plum Forest range and Xmas templates. 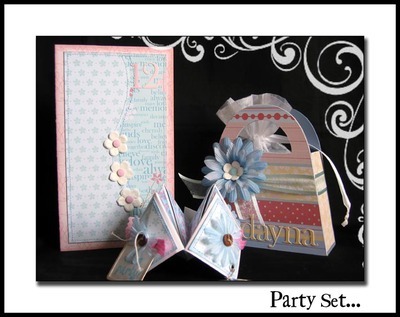 Products used: Papers and embellishments from the Sugar Plum Forest range. Scrap Boss and Xmas Templates, soft touch scissors, edge of circle shape cutting template and Xmas template, Ultra ShapeXpress, Kindy glitz, sandpaper. 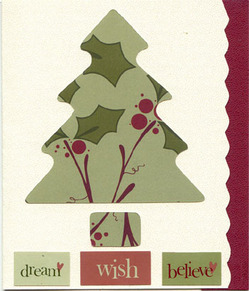 Have you got any special plans for Xmas cards/pressies? Would love to hear about them! 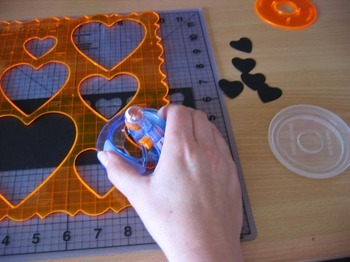 PS: Theres still time to enter the first Fiskars challenge. Would love to see your entry! Its such fun and easy to do! PPS: Whoops forgot to say who it is writing this post.....its me, Trina. LOL! Have a great day.